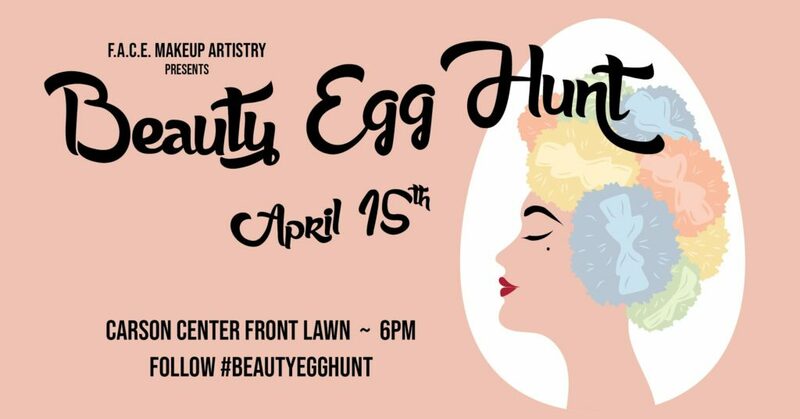 The 5th Annual Face Makeup Artistry Beauty Egg Hunt will be held on the front lawn of the Carson Center – Paducah, KY. On cue, participants will hunt for extra special eggs, containing popular beauty products! We have created a fun, unique version of a festive event. Proceeds will go to the philanthropic organization: Look Good Feel Better. P.S. Be sure to be on the look out for the Golden Egg! 1. Contributing to a fabulous philanthropic organization that helps cancer patients deal with appearance-based side effects of treatment. 2. Attending a fun event, never been done before anywhere else. This will get you in the Easter spirit! 3. Acquiring new makeup products for minimal cost. 4. Networking with a community passionate about the beauty industry. Who doesn’t love hair, makeup, nail, and skin products? 5. Supporting both national and independent makeup brands. WHAT IS THE ADMISSION COST OF THIS EVENT? $25 per ticket. We have a fabulous list of beauty sponsors. Even if you find only 3 eggs, the product value will exceed the ticket cost. What a deal and great way to support the cause! WHAT BRANDS WILL BE HIDEEN INSIDE THE EGGS? We are fortunate to have great relationships with many beauty brands. Here are some of the amazing lines you will find during the hunt: F.A.C.E. Makeup Artistry, Sephora, Mac Cosmetics, It Cosmetics, Beauty Blender and more! HOW WILL YOU FIT SOME OF THE PRODUCTS INSIDE THE EGGS? We’ve thought about the logistics! If the beauty product does not fit inside an egg, a description of the product will be included. Bring this description to our storefront (125 Kentucky Avenue, directly across the street from the event) to collect your prize right after the hunt! (If you cannot claim item immediately after Egg Hunt due to scheduling, keep your description and redeem within 7 days after the hunt. We will keep items secure for you). Bring your friends, your ticket, egg hunting shoes, and a fun basket or bag (trash bag recommended-there are some huge eggs involved and we’ve seen some fall out of baskets in past hunts)! We will provide the rest. WHAT ABOUT WEATHER?The event will take place, rain or shine. In the event of dangerous weather (lightning) your donation to Look Good Feel Better will still be appreciated. We will draw eggs out of a bag and evenly distribute them amongst the participants at Face Makeup Artistry. WHAT WILL BE IN THE GOLDEN EGG? That is a very special surprise! Join us and see! Advance online registration is required on the event ticket link. All registration will close at 6pm on Sunday, April 14th 2019 (24 hours before event, as this will make sure there are plenty of eggs correlating with the attendee headcount). There will be no on-site registration allowed on the day of the event. BUT, there will be mandatory on-site sign-in to pick up your packet before the event! Register online & bring your ticket to the welcome table at the Carson Center entrance around 5:30pm to receive your participation pass. We start at 6pm SHARP! This event goes quick! WHAT IF I CANNOT ATTEND, BUT STILL WANT TO CONTRIBUTE? We will gladly accept your support for the Look Good Feel Better program and include it in the large donation to the organization. To donate, just purchase a ticket, and in the notes, mention you will not be able to attend. We will reserve two eggs with product for you that you can redeem within 7 days after event! Ages 10 and up, please. If you have a child with you, please note- they will need to be registered as well. I AM A BEAUTY SERVICE PROVIDER OR RETAILER AND WANT TO CONTRIBUTE. HOW DO I DONATE SERVICES OR PRODUCTS? Please email Erin@FaceMakeupArtistryLLC.com to determine if your desired donation qualifies and to coordinate donation drop-offs. In the email include: Item Description and Quantity. We will provide you with a donation form if it qualifies. Cancellation/Late Show Policy: Tickets are non-refundable and non-transferable. If you are unable to attend, your donation will still go to an amazing cause.